England cricket superstar Jos Buttler will be using the 2017 Kookaburra Blaze Cricket Bat! 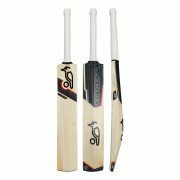 Designed and developed with England and IPL big hitter Jos Buttler, the 2018 season sees poular Kookabrra Blaze redesigned with strking new graphics but the same power profile. Jos and Kookaburra’s notorious research and development programme have formed a partnership that is relentless in it’s pursuit of excellence. This means the The Blaze cricket bat is ideal for the dynamic middle order batter at any standard of cricket. Jos’ power performances, and winning mentality on the cricket field speaks for itself, so his involvement in the development of the Koookaburra Blaze project proves that Kookaburra truly is one of the most innovative cricket brands in the world.